Sonarworks is a European audio software developer founded in 2013, specializing in software solutions used by top studio mixers and sound mastering engineers. Their expertise runs deep in the recording studio industry, where their software Reference drives the work of sound creators on headphones and speakers. Here, they took that expertise and packaged it in a solution for us, the consumers. In an effort to bring studio quality listening to our headphones, Sonarworks introduced the True-Fi software platform. – Helmuts Bēms, CEO and co-founder of Sonarworks. 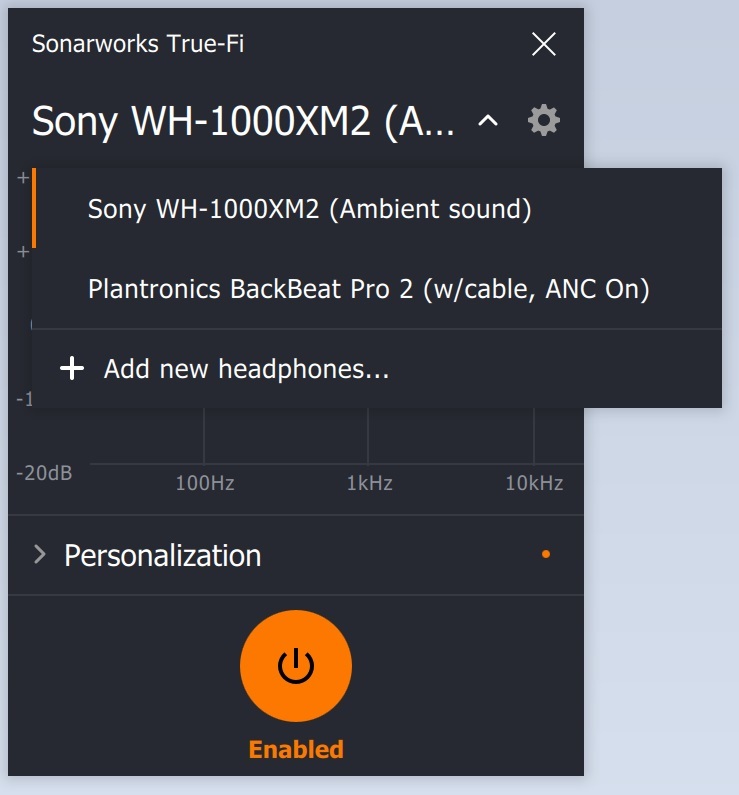 True-Fi is the product of Sonarworks’ efforts with over 125 popular headphone models, where the software introduces compensations to each individual supported model to bring the headset’s performance to a “sonically balanced listening canvas”. Each headset is different in their physical construction and how they sound during playback. True-Fi’s goal is to bring the performance of popular headsets models to a point where they project sound at a studio quality level, in a state where the music creator intended for listeners to hear their content. Coming in at $79, True-Fi houses calibration profiles for more than 125 headphone models, with Sonarworks continuously working with new headset models to add to their supported product list. Their most recent additions includes headsets we’ve reviewed here such as the Sony WH-1000XM2, the Plantronics Backbeat Pro 2 and the HyperX Cloud II. Available now for PC and Mac, the True-Fi app supports sample rates of up to 96kHz, with plans to support higher sample rates in the future. There’s even a Beta mobile app out now for use on mobile devices. You install the trial version True-Fi on the PC or Mac where you do your most listening, where a single license purchase grants you lifelong access to True-Fi on that machine. When you launch True-Fi, it becomes your “default playback device”, effectively becoming your middle-man between you and your music. You select the headset you’re using from their supported list and play music from any app or platform that you would normally hear your music through. That’s all you need to get started! You can even disable and enable True-Fi’s playback on the fly with a press of a button, which works great at comparing the different sound presentations. Of course, there are more options in True-Fi where you can confirm your age or tweak the bass output. Why tell True-Fi your age, you ask? Well, age naturally affects the ranges of sounds we hear as we get older. For example, a younger person is more susceptible to higher frequency sounds than an older person. So Sonarworks built in some additional compensation in True-Fi to account for the listener’s age so that you don’t miss out on that studio quality sound no matter how old you are. Don’t Go Messin’ With A Country Boy: Hillbilly Jim Honored At Hall Of FameDownton Abbey Lives On!